Spring is here and that means golfing season is in full swing! In addition to our desirable accommodations and numerous amenities, Hampton Inn & Suites Aurora is conveniently located to a number of recreational activities including golfing. When you stay at Hampton Inn & Suites Aurora, you can be sure that entertainment is never too far in any direction. Make your stay a hole-in-one by visiting one of the below golf courses in Aurora, Illinois. This 18-hole course, designed by Greg Martin, boasts modern features including USGA greens, a computerized integration system, multiple tees, cart paths, a driving range, new clubhouse and a three-hole Junior Course. Wolf Run offers an 18-hole, par 64 executive length golf course. This course has something to offer golfers of all skill and experience levels. Sport Zone Family Fun Center offers soccer, go karts, mini golf, batting cages and indoor golf. Enjoy Chicagolandï¿½s first dome and largest indoor driving range heated tees. 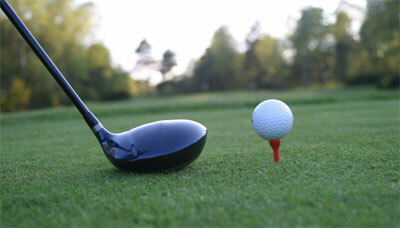 Valley Green Golf Course is an 18-hole, par 60 executive golf course that is the perfect option for small outings. Facilities include a club house, pro shop practice range and putting green. Featuring an 18 hole, par 72 championship layout, Orchard Valley Golf Course is home to a blend of meandering wetlands, lakes, roughs, hollows and waterfalls. It also features a practice center and full-service restaurant. Celebrating over 40 years of great golf, Springbrook Golf Course offers an 18-hole Championship course, 28-stall natural turf driving range, two practice putting greens, and a short game practice green with bunkers.